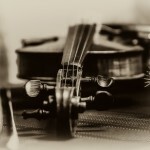 June 6 will be our annual violin workshop. Please take a moment to fill out the registration form and let us know if you will or will not be attending. The Fall Violin Workshop, slated for October 11, 2014, has been postponed indefinitely. All NUSSM parents should have an email with more information. If you have any specific questions, please email Paula Anderson. The Fall Piano Workshop is continuing as originally scheduled. Our Suzuki workshop is fast approaching (October 11th) and we need to get a head count for our Fall Suzuki Workshop. Just a reminder that this activity is included in your tuition payments so there will be no additional charge. We have great clinicians lined up to work with our students and are looking forward to a great day. Please see your individual teachers regarding specifics on the workshop. We need to hear from you regarding attendance so we can set up the schedule and get information to our clinicians. We ask that you respond by Sunday, October 5th. Thanks much and we are all looking forward to a musical day on October 11th. Join NUSSM on October 12, 2013 for a day of fun and learning as we host two excellent teachers for our violin and piano students. Carol Waldvogel (violin) and Sara Stephens Kotrba (piano) will be joining us and you are able to find out more by visiting our Fall Workshop page on the website. You will find information, brochures, and an online registration form. We hope to see you all there!